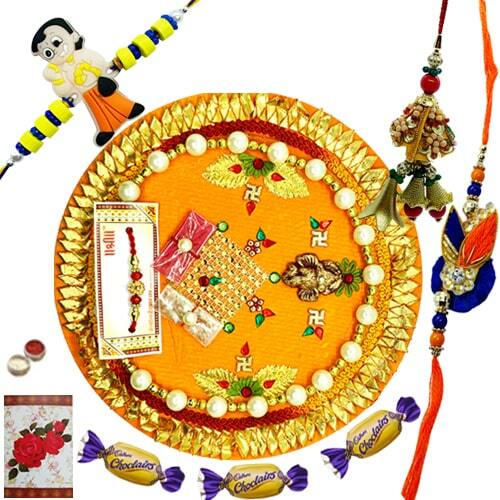 This Raksha Bandhan, gift this Scintillating Kids and Bhaiya Bhabhi Rakhi with Thali and make your siblings and loved ones feel special, loved and lucky. It adds 3 alluring Chocolates and a homemade paper Rakhi Card. The design of Rakhi may vary a little.